Wild bass numbers are declining so what can be done to boost the species? A recent article in The Times reported on EU proposals to limit the number of sea bass caught in UK and European waters – the end goal being to maintain sustainable levels of the species which, as recent figures show, are currently seriously depleted. But the piece also highlighted serious flaws in the proposed legislation – and showed how responsible, sustainable rod and line anglers would actually be the ones to seriously lose out if the measure was to go ahead. No one would argue against the case for ensuring stocks of Sea Bass, one of the most popular and overfished species, remain plentiful, and after looking at the recent set of figures collected by the International Council for the Exploration of the Seas, no one could fail to see that current levels are at an all-time low. This depletion is due in part to repeated aggressive trawling by non-sustainable commercial fleets, but a smaller part of it can also be attributed to landings of undersized bass by uneducated rod and line anglers, who are ignorant of the current minimum landing size guidelines. As well, there is a serious inequity between the amount of bass French trawlers take from UK and European waters compared with the amount retrieved by UK commercial fleet annually, with the French contingent taking triple the quantity that British trawlers do. And there’s also another key issue affecting bass stocks that needs to be addressed by the European Commission before the body impose yet more restrictions on sustainable fishermen – water temperature -with temps under 9c being the point when most bass typically shoal up to breed. 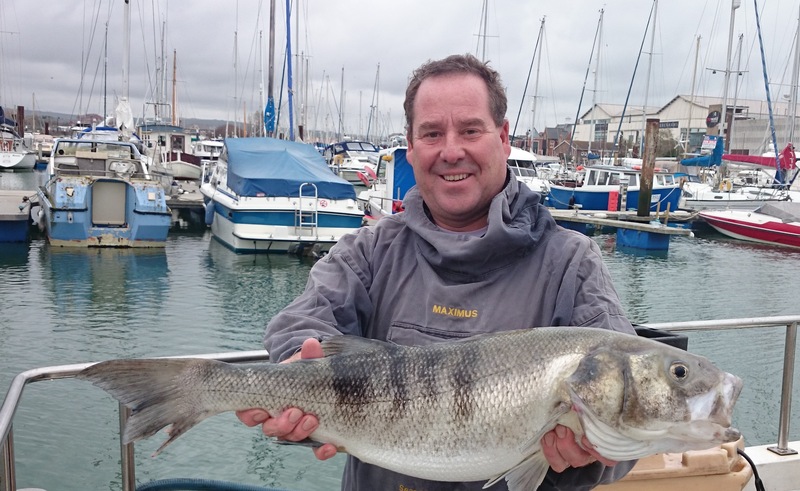 This means there needs to be a total ban on commercial fleets fishing for bass in waters with temperatures under 9c, as otherwise, spawning will be seriously hampered, and stocks of bass will further fall. Of course, there does need to be some type of regulation on pleasure anglers who repeatedly fish for undersized bass, as they are undoubtedly contributing to the depletion of stocks, if not quite on the same scale as the commercial trawlers. Southern Ireland’s legislation, which is currently much more stringent than the UK’s, specifies all Bass caught must be at least 40cm in size, and as a direct result, the country has enjoyed a massive increase in both the size and number of bass. Implementing the current UK legislation that mandates all Bass catches must be 36cm or higher is far from easy, but it can be done, with support and assistance from influential bodies within the angling community, such as B.A.S.S and the Angling Trust. One practical way which organisations like these could directly help is by assisting with the placement of measuring signs in areas rod and line bass anglers use, to both inform the uneducated of the size limits, and remind the careless of the guidelines. Since some anglers are totally unaware of what the current size limit is, what it looks like or even in some cases that there even is one, signposting would seriously help to raise awareness of the issue and boost bass stocks at the leisure end of the market at least. The latest figures demonstrating the dearth of bass are disturbing, and it’s clear the EU needs to take significant steps to even out the inequity between French and British fleets as well as action a clampdown on commercial fleets mining waters under 9c. As long as the EU, DEFRA and the like fail to tackle the real issues that have contributed to the depletion of wild bass as a species, numbers will continue to fall, and the irony is, the biggest losers will be the UK’s contingent of sustainable anglers, not the aggressive commercial trawling outfits that are the main reason behind the current shortfall. Preserving life – Why don’t we? Whats the best colour lure for Bass?